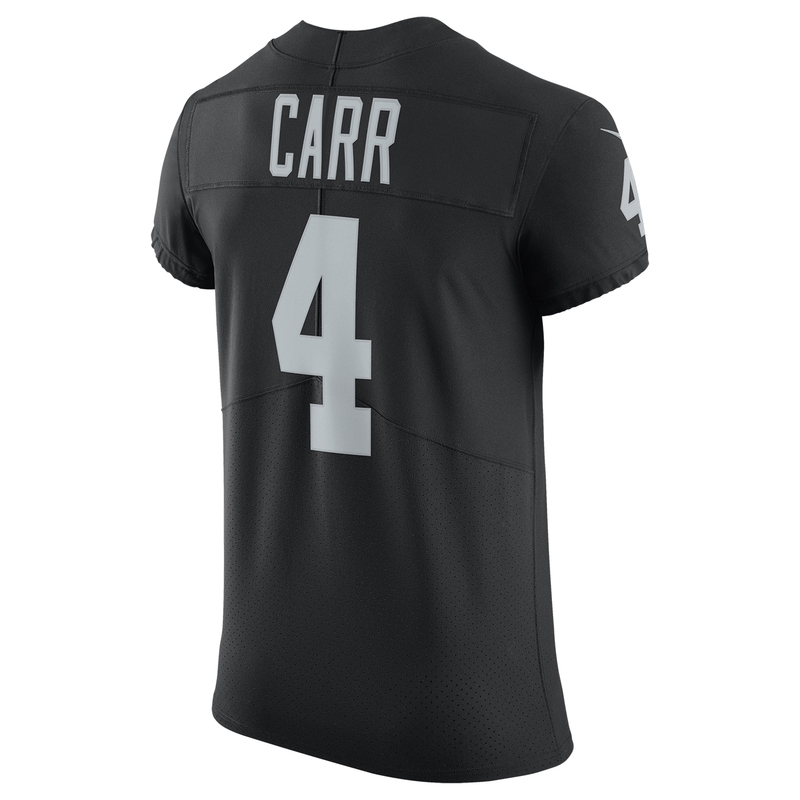 The Raiders Nike Derek Carr Black Elite Jersey has all the same features of those worn by the players. 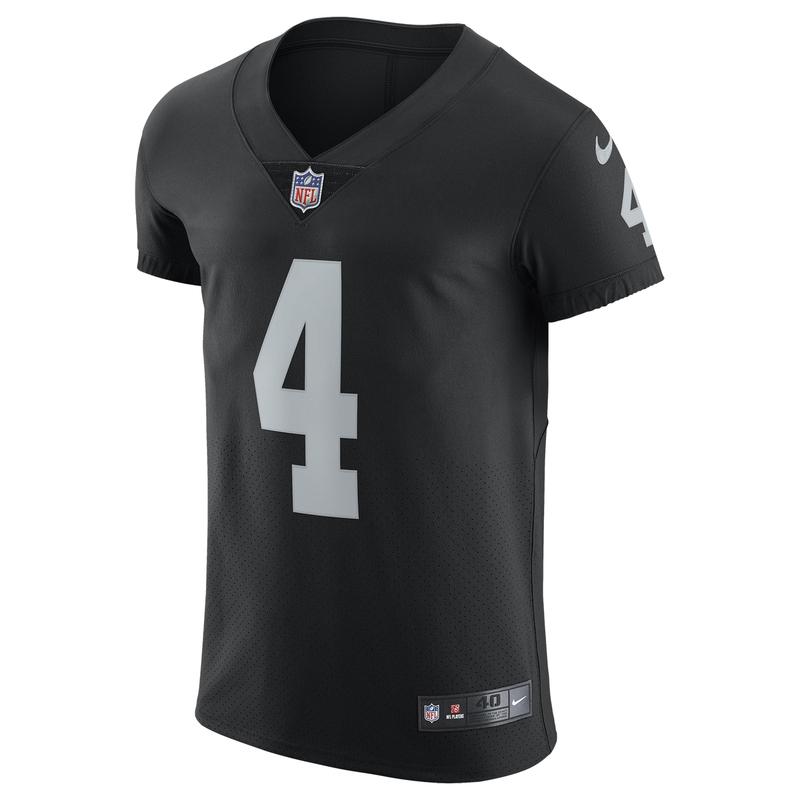 This authentic jersey is made of a polyester mesh body with nylon yoke and sleeves and ribbed knit v-neck taping. Tackle twill numbers and letters are sewn on. Jock tag on lower left front. Click here to see the official Raider Player Bio for Derek Carr.